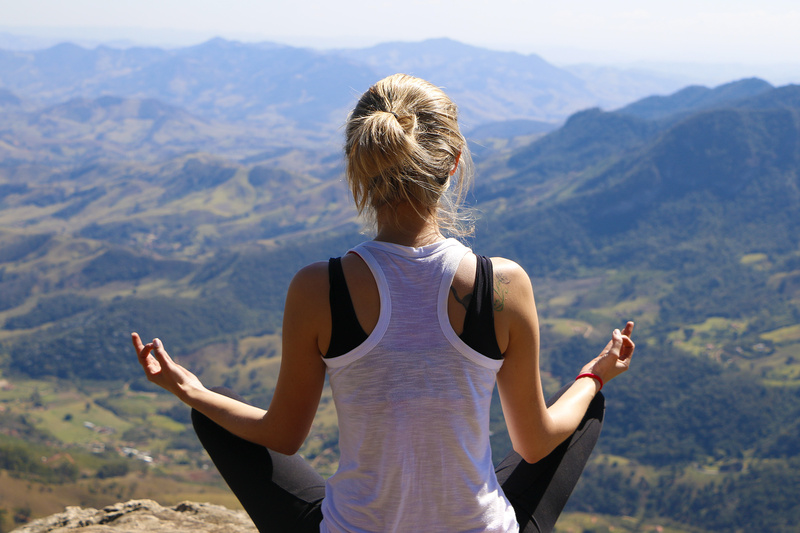 Meditation can have an array of benefits such as increased focus and concentration, increased energy, letting go of resistance, emotional stability, insight and intuition, creativity, and overall better relaxation and ability to handle stress and anxiety. Some ways of going about meditating are to make time for it, have a positive intention, and realize that you can meditate anywhere, moving or not moving, eyes open or closed. Guided meditations may be beneficial as well. Hi everyone! This video is going to be about meditation, specifically some benefits meditation can have on your life in addition to some tips to get you started and/or enhance the experience. The first thing to discuss is just what is meditation. I think you will find that we all have different meanings of it and how it applies to our life, but it’s something we all experience at different points. Meditation simply is a relaxation of the mind and focusing on one particular thing. This can mean anything is meditation. For example, playing a video game, whether it be a relaxing puzzle game that makes you think and focus, or one that is action packed with loud noises, the common theme is how you react to it. If you concentrate on the game, focus your mind on what you are doing in the game, and are engrossed in it and feel a sense of relaxation and peace of mind, then that is meditation. Another example, let’s take music. You put on some headphones, close your eyes and really focus on the music and listen to it. That too is a form of meditation. And then you have the traditional meditation that most are probably familiar with. The one where you sit down, close your eyes, and focus on the breath, calming the mind and focusing on letting go of intrusive thoughts and allowing positive energy to circulate throughout your body. This type of meditation is what many people think of, which many people are turned off by since you are sitting there and are alone with your thoughts. This can be scary for those with severe intrusive thoughts related to bad memories and trauma. So, that type of meditation may not be beneficial for those individuals, but this doesn’t mean you cannot meditate. A dynamic meditation or yoga can be beneficial since it engages the physical body and relaxes the mind and allows it to focus on what the physical body is doing, in addition to clearing out negativity, and stress, and tension. There are endless ways to meditate, and you just have to find what works best for you. But, what is meditation all about and why is it beneficial? Well, it has a myriad of benefits, and listing them all comes down to what your goals are. If you have a goal to lose weight, then it can help you achieve this. Likewise, if you have a goal to gain weight, it can help with this. It can literally help with anything you want to achieve, as long as you have a goal, because you focus on what you want to achieve during a moment of relaxation. When your mind is in this state, it’s easy to accept suggestions. As a bit of personal experience, I’ve been meditating on and off since I was in my early to mid teens. Since 2012, however, I’ve been more productive and serious about it. However, there are time I get off track and lose focus and don’t do it for a period of time. During those times that I do not meditate, I feel I have less energy, don’t sleep as well, can’t concentrate as well, in addition to getting agitated easier. But, meditation certainly has allowed me to achieve peace and the ability to regulate emotions and be more productive. It’s actually been such a major influence on my life that I am actually taking meditation to a whole new level. I actually have a guided meditation YouTube channel to help assist with meditations. I’ll have an annotation and a link in the description. [My Meditation Channel] On this channel, I focus on how you can improve your life, using the same techniques that I have been able to utilize to improve my own life. Anyway, I will now discuss some of the benefits of meditation and how it may help you. One of the most beneficial things meditation does is allows one to focus on the present and the now. In other words, what is going on right this minute, not what happened in the past, not what is going to happen in the future. This is highly beneficial since it allows one to let go of resistance and attachments. When you let go of what happened in the past, then obsessive thoughts about past memories are no longer relevant. Trauma that happened in the past is no longer relevant. Whatever anger or sadness you had just before meditating is no longer relevant since it’s a thing that one can let go of. When it comes to obsessive thoughts about future events, this often leads to anxiety and stress. Perhaps one is anxious about a presentation later in the day. They have constant obsessive thoughts about what is going to happen. A ‘what if’ scenario of an event that has yet to happen. This too can be let go of and instead a positive intention can be focused on where they are confident and the outcome is positive. The thing about resistance is that it’s a result of us trying to run away from something. Almost like pushing things behind a door and never addressing them. The more we put onto the other side of the door, the larger it becomes and more difficult it is to address. But, it’s always there in the back of our mind and we fear it and try to run and hide from it. Meditation allows you to let go of all of this and allows the door to open and all negativity and attachments are addressed by you and simply passed by. You feel what you needed to feel to overcome and address the problems you have and have successfully let them go. Another major benefit is regulating emotions and improving self-control. Let’s say you have intense anger when someone says something about you, or you get severely upset and began to cry at the slightest thing. While being highly sensitive can have positive benefits, when it gets to the point that your emotions are hindering your life and the connections you make, including having severe mood swings, meditation can help you feel more balanced and not have extreme highs or extreme lows. It will allow you to have better control over your emotions and what is appropriate for the situation. For example, let’s say you are painting and get one drop on the floor and then perhaps get so angry that you grab the paint can and toss it all over the place, getting it everywhere, while you charge your way out of the house, slamming doors, being destructive. Or what about another scenario where the same thing happens but you get depressed instead of angry. You get very upset and just break down, crying on the floor, won’t get up, spending the rest of the day upset and unable to get anything done. While these are appropriate emotions to have when spilling the paint, you are experiencing it to such an extreme degree. Essentially meditation will allow you to better cope with the stress involved with what happened. It goes back to letting go of these emotions. You feel a bit angry or upset, and you move on from it. Anger and depression often stem from feeling an intense feeling long enough without letting it go. You’re in resistance to letting the emotions go, which is something meditation can have a profound impact on. Next, another benefit is that it can provide an understanding and acceptance of yourself, others, and the world around you. It can grant you knowledge, insight, and intuition of how your life is going, what you can improve, and how you can improve it. Meditation brings things into your awareness that were hidden before. Sometimes not always positive things, but things that you can look at within your own life to improve. Perhaps you have a lot of abandonment issues and you feel a sense of despair and like no one loves you when your friends stop talking with you for a brief period of time. While meditating, this comes to the surface of your mind and you become aware of it. When in the relaxed state, you accept it as is and realize that this is who you are. You then begin to rationalize scenarios that have happened and you reflect on past relationships and realize that no matter how many times you’ve accused a close friend of leaving or hating you for not getting back to you, that they have always stuck by your side. You’ve come to learn that they are here for you, and you become thankful for what they’ve brought into your life, even perhaps apologizing to them for the accusations and how you would attack them for doing absolutely nothing wrong. Meditation can certainly make you more aware of these things. In addition, it can give you better insight into what is going on around you. You will become more knowledgeable in how to properly cope with the struggles in life. It can provide you with knowledge you’ve never had access to before and give you the insight to accomplish what you really want. You will just know the answers and they’ll come to you without even trying. This happens especially during the meditation process. 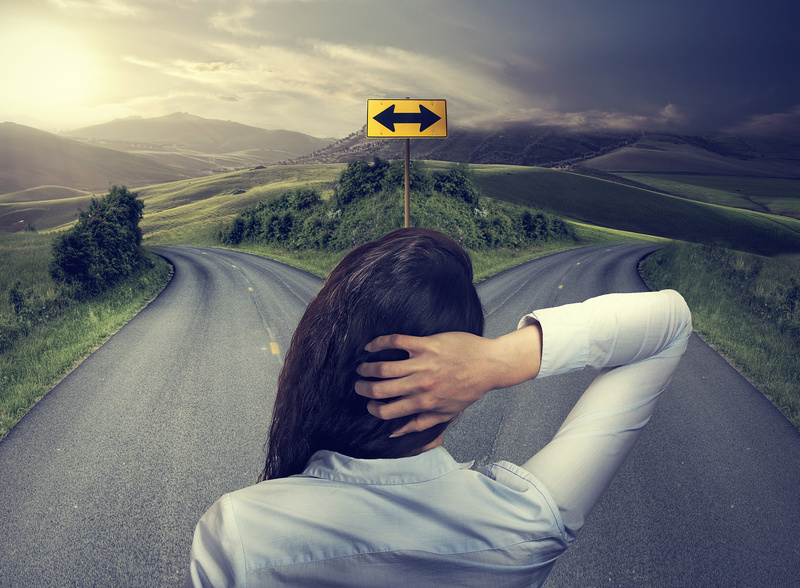 For instance, if you are at a crossroads and don’t know what decision is best, then you may meditate and allow yourself to think it through and discover things that were not there before to help you make the appropriate decision. It’ll just feel right to you and you’ll have confidence in your decision. Other miscellaneous benefits include increased energy, better relaxation and sleep habits, better concentration, improved creativity, and the ability to learn quicker and easier. There are countless other benefits as well, but these are just some of the ones you may notice when starting meditation. You will certainly feel more relaxed and laid back, like negative things don’t affect you as much. In addition, you will have better concentration and memory, improved creativity due to you allowing thoughts and images to come to you without resistance. All these things and more are possible when you begin to meditate. Now I will discuss some tips that can help you just starting out or improving the experience. One of the biggest things is making time for meditation. If you begin to meditate and don’t actively fit it into your schedule and just stop doing it altogether, it will not benefit you. But, you can dedicate time each day, or every few days, to meditation. Pick a time, a location, a goal and you can accomplish what you desire as long as you stick with it. The first few weeks can be challenging to stick to, but keep at it. It should be fun and something you look forward to. If you make the time in your day for other activities such as television, video games, or music, then you surely can make the time for meditation. This is one of the biggest downfalls we all have with practically any goal, since many of us do not dedicate time to activities and we end up not being able to accomplish it. When going into meditation, what do you wish to accomplish? This can be as simple as letting go and relaxing, to something like incorporating positive affirmations. Whatever it is, have something in mind beforehand and your concentration on what you desire will be obtained much quicker and efficiently. Additionally, as was mentioned in the previous section, anything can be meditation for you, but you have to find what relaxes you and clears your mind. You can meditate anywhere, anytime that is appropriate for you, moving or not moving, eyes open or closed. But, the main thing about it is to find a place that is comfortable and relaxing. With enough time, more and more places will be open to you and it’ll be easier to meditate, even in a noisy environment. Next is to start simple and for as long as you comfortably can. In other words, don’t force yourself. Don’t force anything, but rather allow it to happen. This is often when we become discouraged since we may be trying too hard to relax and clear the mind, but that’s precisely the problem. Meditation is not about forcing anything, but allowing the experience to happen. If you are trying to clear your mind and get rid of thoughts, they will come to you more. But if you let it go, it’ll exit your mind and it’ll be clear. Let your thoughts go & focusing on the now. Thoughts are a part of meditation, and they will happen. But, mindfulness is about looking at your thoughts and seeing them for what they are, clearly. You can never get rid of your thoughts, but you can focus on allowing them to flow. 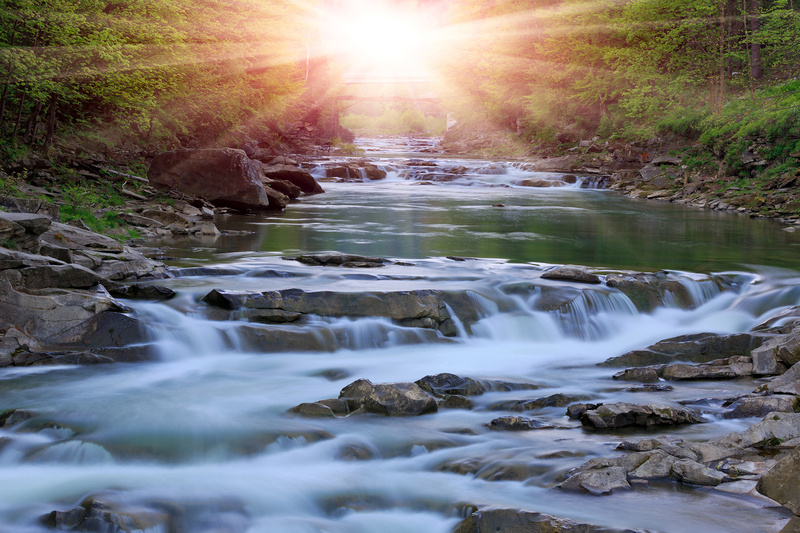 Imagine a stream of water and your thoughts are going down this stream as you remain still observing them as they go by. Focusing on the breath is helpful with this as well. You breathe in positivity and release negativity and attachments. If an intrusive thought comes in, gently let it go. Another method is to close your eyes and see what comes to mind. Sometimes it’ll be images, colors, sounds. Just observe them with your eyes closed. Sometimes it can even help to cover your eyes with your palms. It may be very dull initially, or it may be very vivid. Focus on them and after a bit of time you’ll enter into a relaxed, meditative state. Give it time. It can take anywhere from 5 to 20 minutes, or even longer depending on many factors including what stress you are under and what you are thinking about prior to meditating. If it doesn’t happen, don’t get upset with yourself. Try again later or another day with a positive intention. And lastly, if you still are having difficulty focusing, think about a guided meditation or music. This can help significantly because it allows you to focus more on audio and your experience and less on the intrusive thoughts. It can be relaxing music that helps slow down the mind, or whatever other music that can help you focus and concentrate. Even if you are not a beginner, guided meditations can certainly help during stressful times when it’s very difficult to let go and clear the mind. In fact, it’s been one of the most helpful things for me when my mind won’t slow down on its own, or with my own guidance. Anyway, when you are ready to end the meditation session, slowly bring your attention back to your surroundings and reflect back on what you accomplished. Then, slowly get back to what you are doing next. It’s important to do this so you can retain that calmness and relaxation after meditating. It can last all day if you learn to incorporate what meditation teaches you into all areas of your life. Things like taking breaks when needed, when your body and mind need it, and having goals and setting schedules to accomplish these goals. These are important life lessons that meditation can allow you to learn with enough time, patience, and dedication. So in conclusion, meditation can have an array of benefits. Some of these being increased focus and concentration, increased energy, letting go of resistance, emotional stability, insight and intuition, creativity, and overall better relaxation and ability to handle stress and anxiety. Some ways of going about meditating are to make time for it, have a positive intention, and realize that you can meditate anywhere, moving or not moving, eyes open or closed. Guided meditations may be beneficial as well. Please share with me your experience and how long you’ve been meditating or if you plan on starting to meditate after watching this video. I hope this information was informative and helpful. Thanks for watching! Meditation has been one of the most beneficial things for me to be able to overcome so many of the problems I had. It allowed me to rationalize unreasonable thoughts, calm my mind when having obsessive, intrusive thoughts, and get better control over my emotions. Regarding the video, after a two week break I returned to making videos where I made some changes. While I didn’t have any new equipment or background change, at this time at least, other graphical changes were implemented into this video. While it certainly is more time consuming and expensive, the results are worth it in my eyes. I’ve added licensed images to enhance the visual experience and explanations. In addition, the sidebar with the trees that text is overlaid is a thing of the past. I found so many wonderful animated videos that I could license for the sidebar. However, due to how many there were that I really liked, that I can certainly use for other purposes, I said, “Why spend all this money licensing all these animations when I can just learn the skills to do them myself?” So, I downloaded Adobe After Effects, which is included in my software subscription package, and played around with some things, watched tutorials and followed along, and actually created my own particle sidebar that I can customize any time I like. While my skills are very limited at the time of making this video, they will improve and I’ll be able to do some really cool things with animations that I’m looking forward to!